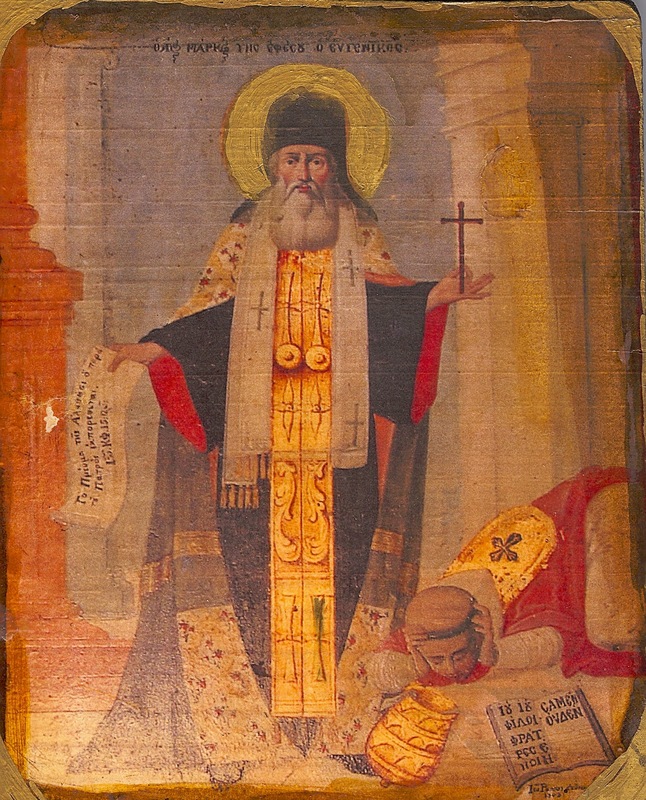 It must also be known that sometimes the Holy Prophets, when they are consulted, through their familiarity with prophesying, pass judgment from their own spirit, believing that they speak thus with the spirit of prophecy, but because they are holy men are swiftly corrected by the Holy Spirit, from Whom they hear what is true and censure themselves for speaking falsely. For who does not know that the Prophet Nathan was a holy man who reproached David the King openly concerning his guilt, and proclaimed what would befall him because of this same guilt? However, at the moment when David had inquired of him because he wished to build a Temple to the Lord, he replied: ‘Go, do all that is in thy heart; because the Lord is with thee’ (2 Kgs. 7:3). Concerning him, it was immediately added: ‘But it came to pass that night, that the word of the Lord came to Nathan, saying: Go, and say to my servant David: Thus saith the Lord [God], shalt thou build Me a house to dwell in? Whereas I have not dwelt in a house from the day that I brought the children out of the land of Egypt even to this day’ (2 Kgs. 7:4-6). And a little further on: ‘And when those days shall be fulfilled, and thou shalt sleep with thy fathers; I will raise up thy seed after thee, which shall proceed out of thy bowels, and I will establish his kingdom. He shall build a house to my name’ (2 Kgs. 7:12-14). 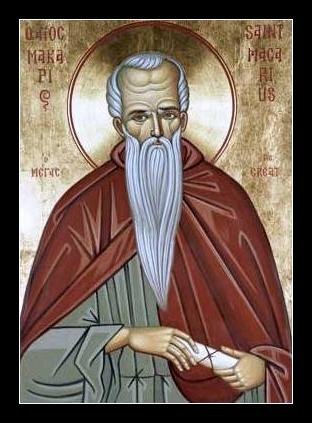 Behold Nathan the Prophet, who before had said to the King, ‘Go, and do,’ presently apprised through the spirit of prophecy, proclaiming that this could not be, contradicted the King’s counsel and his own words because he discovered that what he said from his own spirit was false. Over and over again you turn upon us the silence of Scripture. 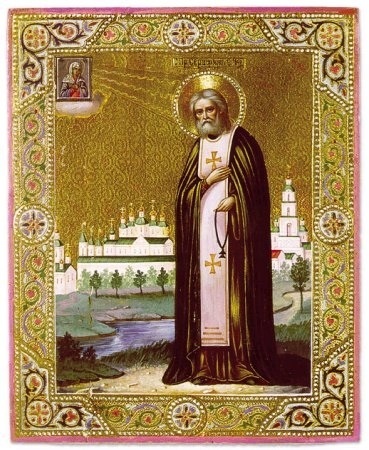 But that it is not a strange doctrine, nor an afterthought, but acknowledged and plainly set forth both by the ancients and many of our own day, is already demonstrated by many persons who have treated of this subject, and who have handled the Holy Scriptures, not with indifference or as a mere pastime, but have gone beneath the letter and looked into the inner meaning, and have been deemed worthy to see the hidden beauty, and have been irradiated by the light of knowledge…Since, then, there is so much difference in terms and things, why are you such a slave to the letter, and a partisan of the Jewish wisdom, and a follower of syllables at the expense of facts? The New manifested the Son, and suggested the Deity of the Spirit. Now the Spirit Himself dwells among us, and supplies us with a clearer demonstration of Himself. For it was not safe, when the Godhead of the Father was not yet acknowledged, plainly to proclaim the Son; nor when that of the Son was not yet received to burden us further (if I may use so bold an expression) with the Holy Ghost; lest perhaps people might, like men loaded with food beyond their strength, and presenting eyes as yet too weak to bear it to the sun’s light, risk the loss even of that which was within the reach of their powers; but that by gradual additions, and, as David says, Goings up, and advances and progress from glory to glory, the Light of the Trinity might shine upon the more illuminated. For this reason it was, I think, that He gradually came to dwell in the Disciples, measuring Himself out to them according to their capacity to receive Him, at the beginning of the Gospel, after the Passion, after the Ascension, making perfect their powers, being breathed upon them, and appearing in fiery tongues. And indeed it is little by little that He is declared by Jesus, as you will learn for yourself if you will read more carefully. I will ask the Father, He says, and He will send you another Comforter, even the spirit of Truth. This He said that He might not seem to be a rival God, or to make His discourses to them by another authority. Again, He shall send Him, but it is in My Name. He leaves out the I will ask, but He keeps the Shall send, then again, I will send,—His own dignity. Then shall come, the authority of the Spirit. This, then, is my position with regard to these things, and I hope it may be always my position, and that of whosoever is dear to me; to worship God the Father, God the Son, and God the Holy Ghost, Three Persons, One Godhead, undivided in honour and glory and substance and kingdom, as one of our own inspired philosophers not long departed showed. Let him not see the rising of the Morning Star, as Scripture says, nor the glory of its brightness, who is otherwise minded, or who follows the temper of the times, at one time being of one mind and of another at another time, and thinking unsoundly in the highest matters. For if He is not to be worshipped, how can He deify me by Baptism? But if He is to be worshipped, surely He is an Object of adoration, and if an Object of adoration He must be God; the one is linked to the other, a truly golden and saving chain. And indeed from the Spirit comes our New Birth, and from the New Birth our new creation, and from the new creation our deeper knowledge of the dignity of Him from Whom it is derived. This, then, is what may be said by one who admits the silence of Scripture. But now the swarm of testimonies shall burst upon you from which the Deity of the Holy Ghost shall be shown to all who are not excessively stupid, or else altogether enemies to the Spirit, to be most clearly recognized in Scripture. Look at these facts:—Christ is born; the Spirit is His Forerunner. He is baptized; the Spirit bears witness. He is tempted; the Spirit leads Him up. He works miracles; the Spirit accompanies them. He ascends; the Spirit takes His place. What great things are there in the idea of God which are not in His power? What titles which belong to God are not applied to Him, except only Unbegotten and Begotten? For it was needful that the distinctive properties of the Father and the Son should remain peculiar to Them, lest there should be confusion in the Godhead Which brings all things, even disorder itself, into due arrangement and good order. Indeed I tremble when I think of the abundance of the titles, and how many Names they outrage who fall foul of the Spirit. He is called the Spirit of God, the Spirit of Christ, the Mind of Christ, the Spirit of The Lord, and Himself The Lord, the Spirit of Adoption, of Truth, of Liberty; the Spirit of Wisdom, of Understanding, of Counsel, of Might, of Knowledge, of Godliness, of the Fear of God. 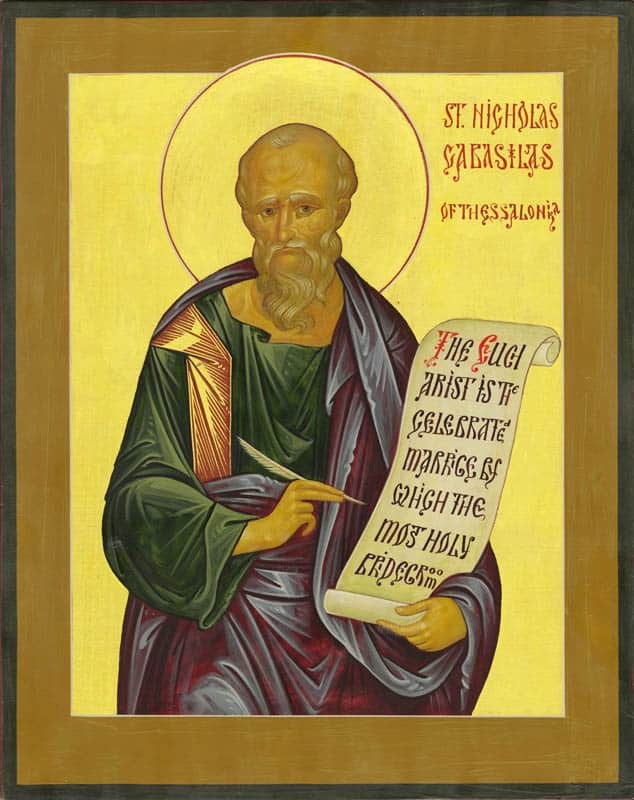 For He is the Maker of all these, filling all with His Essence, containing all things, filling the world in His Essence, yet incapable of being comprehended in His power by the world; good, upright, princely, by nature not by adoption; sanctifying, not sanctified; measuring, not measured; shared, not sharing; filling, not filled; containing, not contained; inherited, glorified, reckoned with the Father and the Son; held out as a threat; the Finger of God; fire like God; to manifest, as I take it, His consubstantiality); the Creator-Spirit, Who by Baptism and by Resurrection creates anew; the Spirit That knows all things, That teaches, That blows where and to what extent He lists; That guides, talks, sends forth, separates, is angry or tempted; That reveals, illumines, quickens, or rather is the very Light and Life; That makes Temples; That deifies; That perfects so as even to anticipate Baptism, yet after Baptism to be sought as a separate gift; That does all things that God does; divided into fiery tongues; dividing gifts; making Apostles, Prophets, Evangelists, Pastors, and Teachers; understanding manifold, clear, piercing, undefiled, unhindered, which is the same thing as Most wise and varied in His actions; and making all things clear and plain; and of independent power, unchangeable, Almighty, all-seeing, penetrating all spirits that are intelligent, pure, most subtle (the Angel Hosts I think); and also all prophetic spirits and apostolic in the same manner and not in the same places; for they lived in different places; thus showing that He is uncircumscript. A short while ago, with the strong eyes of faith, we beheld Christ ascending, no less clearly than those accounted worthy to be His eye-witnesses. Nor are we less favored than they. “Blessed are they that have not seen, and yet have believed”, says the Lord (Jn. 20:29), referring to those who’ve found assurance through hearing, and see by faith. Recently we saw Christ lifted up from the ground bodily (Acts 1:9). 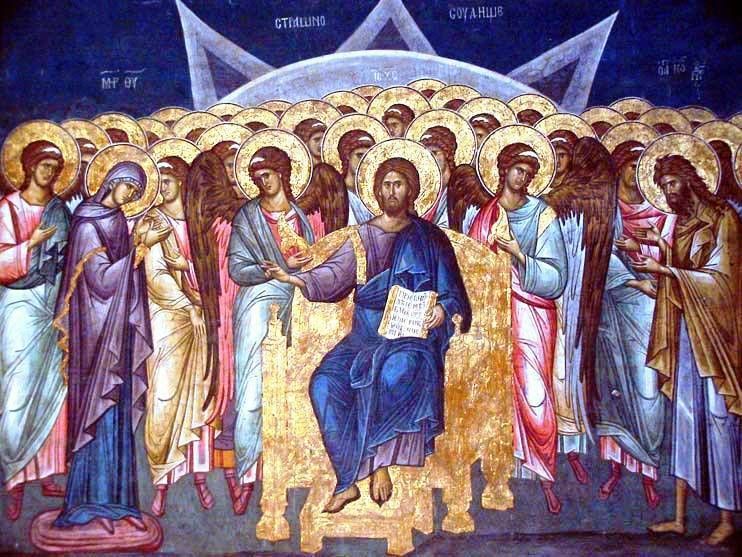 Now, through the Holy Spirit sent by Him to His disciples, we see how far Christ ascended and to what dignity He carried up the nature He assumed from us. Clearly He went up as high as the place from which the Spirit sent by Him descended. He Who spoke through the prophet Joel showed us whence the Spirit comes, saying “I will pour out My Spirit upon all flesh” (Joel 2:28), and to Him David addressed the words, “Thou sendest forth Thy Spirit; they are created: and Thou renewest the face of the earth” (Ps. 104:30). It follows that at His ascension Christ went up to the Father on high, as far as His Fatherly bosom, from which comes the Spirit. Having been shown, even in His human form, to share the Father’s glory, Christ now sent forth the Spirit Who comes from the Father and is sent by Him from Heaven. But when we hear that the Spirit was sent by the Father and the Son, this does not mean that the Spirit has no part in Their greatness, for He is not just sent, but also Himself sends and consents to be sent. 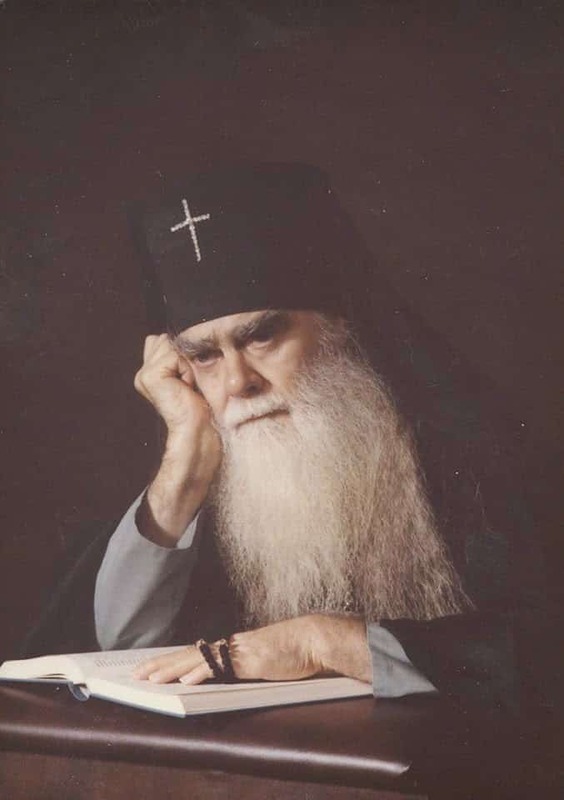 Father Sophrony also makes another very interesting and important observation concerning the example given by Christ and our own theosis or deification. 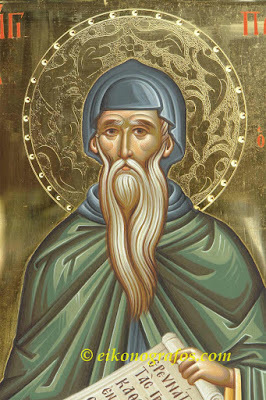 He points to the fact that even though the deification of Christ’s human nature was, as Saint John Damascene says, effected from the very moment in which He assumed our nature, nevertheless Christ as Man shied away from anything which might give the impression of auto-theosis, that is to say, self-deification or self-divinization. 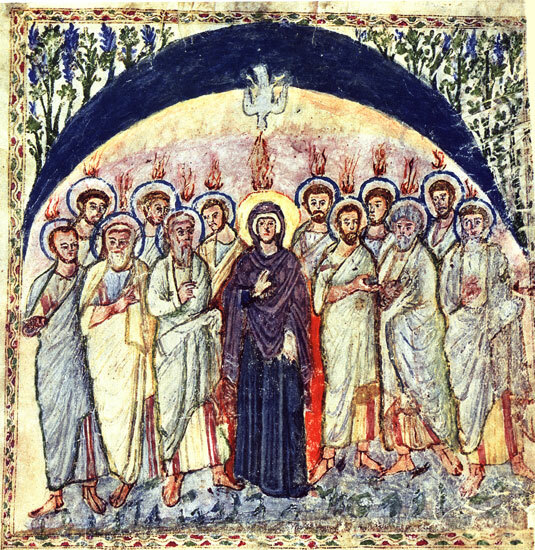 That is why we see the action of the Holy Spirit underlined at His Holy Birth: “The Holy Ghost shall come upon thee… therefore also that holy thing which shall be born of thee shall be called the Son of God” (Luke 1:35); also, the Holy Spirit descends upon Christ at His Baptism in the Jordan (Matt. 3:15); and concerning the Resurrection, the Scriptures speak thus: “God, that raised Him up form the dead, and gave Him glory” (1 Pet. 1:21); and finally, Christ Himself, teaching us the way of humility and how always to ascribe glory to Our Heavenly Father, says: “If I bear witness of Myself, My witness is not true. There is Another that beareth witness of Me; and I know that the witness which He witnesseth of me is true” (John 5:31-32). And at once, alas, the calamity that the misfortunate one suffered! He feel from the Grace of Holy Baptism, as will be made manifest from the following. 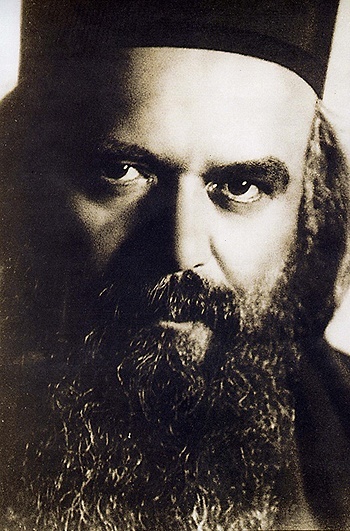 When he returned to the desert and the divine Paisios saw him, Paisios completely rejected him and did not even want to see him or talk with him, but turned away from him. Then the miserable monk sighed and groaned, shedding tears that moved the elder to compassion. He insisted that he was his same disciple and not another, and that he did not know at all what crime it was that he had committed, nor that he did any evil. [W]hen through the tasting of the tree of the knowledge of good and evil—which was premature and contrary to the commandment of God—they learnt the difference between good and evil and were subjected to all the afflictions which followed the transgression of the commandment of God, then they lost this priceless gift of the grace of the Spirit of God, so that, until the actual coming into the world of the God-Man Jesus Christ, the Spirit of God was not yet in the world because Jesus was not yet glorified (Jn. 7:39). However, that does not mean that the Spirit of God was not in the world at all, but His presence was not so apparent as in Adam or in us Orthodox Christians. It manifested only externally; yet the signs of His presence in the world were known to mankind. Thus, for instance, many mysteries in connection with the future salvation of the human race were revealed to Adam as well as to Eve after the fall. And for Cain, in spite of his impiety and his transgression, it was easy to understand the voice which held gracious and divine though convicting converse with him. Noah conversed with God. Abraham saw God and His day and was glad (cp. Jn. 8:56). The grace of the Holy Spirit acting externally was also reflected in all the Old Testament prophets and Saints of Israel. The Hebrews afterwards established special prophetic schools where the sons of the prophets were taught to discern the signs of the manifestation of God or of Angels, and to distinguish the operations of the Holy Spirit from the ordinary natural phenomena of our graceless earthly life. Simeon who held God in his arms, Christ’s grand-parents Joakim and Anna, and countless other servants of God continually had quite openly various divine apparitions, voices and revelations which were justified by evident miraculous events. Though not with the same power as in the people of God, nevertheless, the presence of the Spirit of God also acted in the pagans who did not know the true God, because even among them God found for Himself chosen people. Such, for instance, were the virgin-prophetesses called Sibyls who vowed virginity to an unknown God, but still to God the Creator of the universe, the all-powerful Ruler of the world, as He was conceived by the pagans. 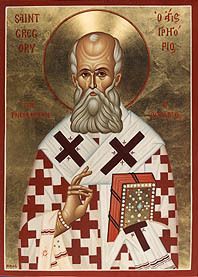 Though the pagan philosophers also wandered in the darkness of ignorance of God, yet they sought the truth which is beloved by God, and on account of this God-pleasing seeking, they could partake of the Spirit of God, for it is said that the nations who do not know God practice by nature the demands of the law and do what is pleasing to God (cf. Rom. 2:14). The Lord so praises truth that He says of it Himself by the Holy Spirit: Truth has sprung out of the earth, and righteousness has looked down from heaven (Ps. 84:11). [T]here are necessarily required the votes and signatures of the other holy Patriarchs, and generally the common consent of all the ecclesiastics, and of others eminent for holiness and wisdom, so as not to be gainsaid by any such. 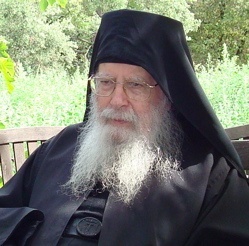 Orthodoxy does have its own Pope, older than all the popes and patriarchs in the world. It had Him from the beginning and it will have him to the end of time. That is the same Pope whom all the Apostles of Christ called upon. The Holy Spirit. 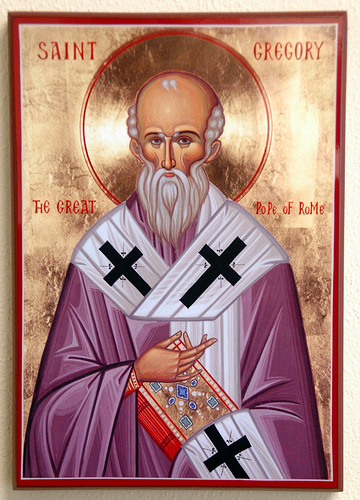 The Spirit of wisdom and reason, the Spirit of comfort and the power of God — He is the true Pope of Christ’s Church always and forever and without a substitution or replacement, without dispute or choice, without a predecessor and successor. 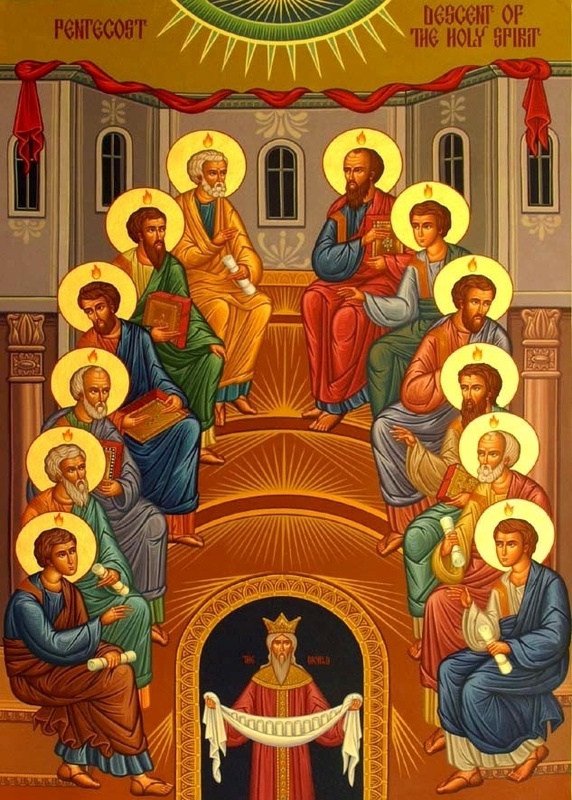 And that the Apostles recognized the Holy Spirit as their highest leader and pope is attested by a document written by their own hands at the First Apostolic Council in Jerusalem, which says these important words: For it seemed good to the Holy Ghost, and to us (Acts 15:28). 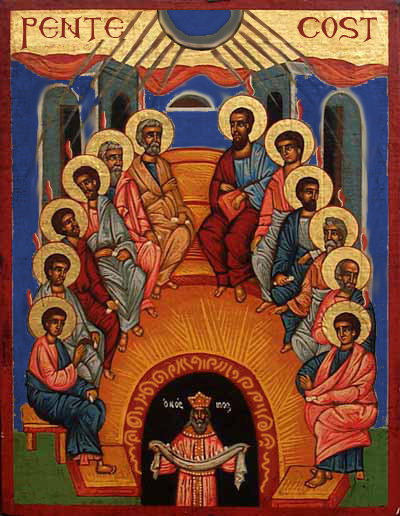 It is apparent that the Apostles placed the Holy Spirit before and above themselves. Before this and every meeting they prayed to Him, called upon Him, submitted themselves completely to Him. Do not all the elders of the Orthodox Church do this to this day? 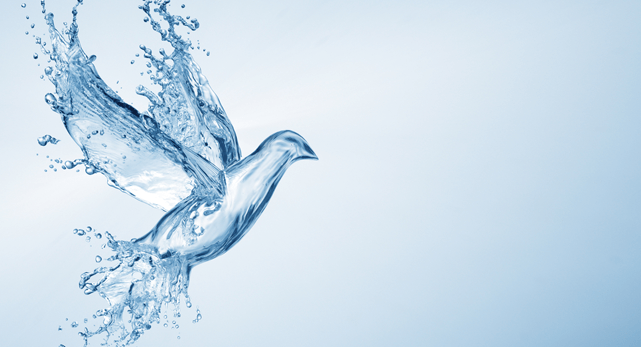 Question: Since it has been written in the Gospel, “Unless one is born of water and Spirit” and again, in another place, “He will baptize you with the Holy Spirit and fire,” I beg to learn, what is the difference? Fr. 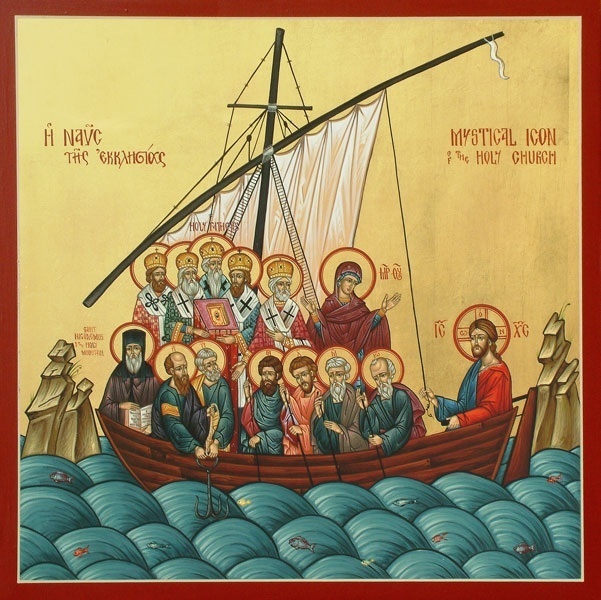 Thomas Hopko: The dogmatic definitions (dogma means official teaching) and the canon laws of the Ecumenical Councils are understood to be inspired by God and to be expressive of His will for men. Thus, they are essential sources of Orthodox Christian doctrine. The Old Testament proclaimed the Father openly, and the Son more obscurely. The New manifested the Son, and suggested the Deity of the Spirit. Now the Spirit Himself dwells among us, and supplies us with a clearer demonstration of Himself. For it was not safe, when the Godhead of the Father was not yet acknowledged, plainly to proclaim the Son; nor when that of the Son was not yet received to burden us further (if I may use so bold an expression) with the Holy Ghost; lest perhaps people might, like men loaded with food beyond their strength, and presenting eyes as yet too weak to bear it to the sun’s light, risk the loss even of that which was within the reach of their powers; but that by gradual additions, and, as David says, Goings up, and advances and progress from glory to glory, the Light of the Trinity might shine upon the more illuminated. For this reason it was, I think, that He gradually came to dwell in the Disciples, measuring Himself out to them according to their capacity to receive Him, at the beginning of the Gospel, after the Passion, after the Ascension, making perfect their powers, being breathed upon them, and appearing in fiery tongues. And indeed it is little by little that He is declared by Jesus, as you will learn for yourself if you will read more carefully. I will ask the Father, He says, and He will send you another Comforter, even the spirit of Truth. This He said that He might not seem to be a rival God, or to make His discourses to them by another authority. Again, He shall send Him, but it is in My Name. He leaves out the I will ask, but He keeps the Shall send, then again, I will send,—His own dignity. Then shall come, the authority of the Spirit. You see lights breaking upon us, gradually; and the order of Theology, which it is better for us to keep, neither proclaiming things too suddenly, nor yet keeping them hidden to the end. For the former course would be unscientific, the latter atheistical; and the former would be calculated to startle outsiders, the latter to alienate our own people. I will add another point to what I have said; one which may readily have come into the mind of some others, but which I think a fruit of my own thought. 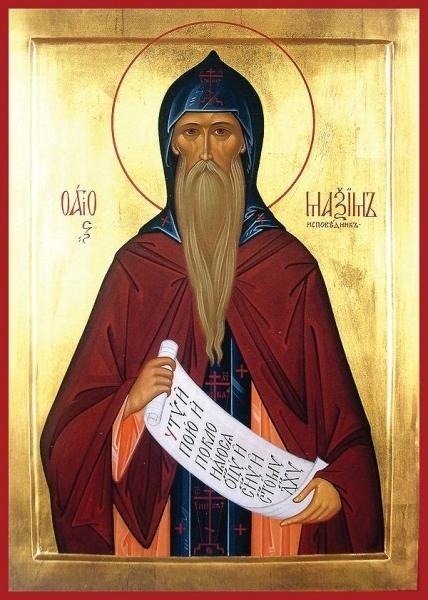 Our Saviour had some things which, He said, could not be borne at that time by His disciples (though they were filled with many teachings), perhaps for the reasons I have mentioned; and therefore they were hidden. And again He said that all things should be taught us by the Spirit when He should come to dwell amongst us. Of these things one, I take it, was the Deity of the Spirit Himself, made clear later on when such knowledge should be seasonable and capable of being received after our Saviour’s restoration, when it would no longer be received with incredulity because of its marvellous character. For what greater thing than this did either He promise, or the Spirit teach. If indeed anything is to be considered great and worthy of the Majesty of God, which was either promised or taught. The first and most important error of the Uniates is the teaching, which they have taken from the Romans, that the Holy Spirit proceeds from the Father and the Son [Filioque]. This is the first and most important of all the heresies, for it includes in itself an incorrect judgment, contrary to Sacred Scripture, about God, Who is One in the Holy Trinity. He who confesses that the Holy Spirit proceeds from the Father and from the Son supposes in God two principles: one of the Father, another of the Son. 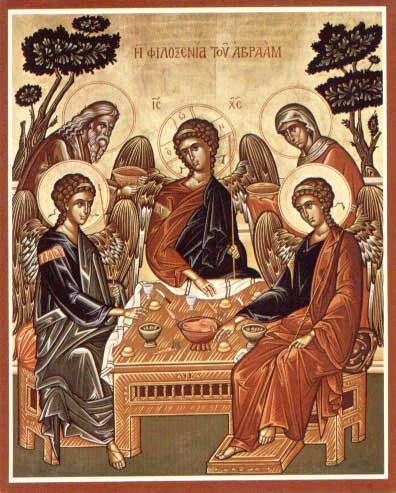 But we Orthodox confess in the Trinity one principle of the Father, as our Lord Jesus Christ taught us in the holy Gospel, when He said that the Holy Spirit proceeds from the Father alone. He said: When the Comforter is come, Whom I send unto you from the Father, the Spirit of truth, Who proceedeth from the Father (Jn. 15:26). And the Apostle says: Every good gift and evry perfect gift is from above, coming from the Father of lights (Jm. 1:17). Do you see? 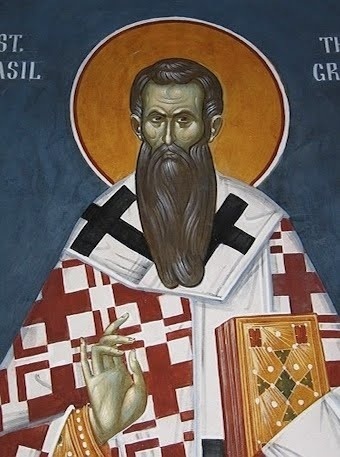 He says “the Father of lights”; that is, the Father is the root and fount of Divinity; and the two lights, the Son and the Spirit from the single light, the Father, have their pre-eternal being, the Son in being begotten and the Holy Spirit in procession. The divine Prophet David says: By the word of the Lord were the heavens established, and all the might of them by the Spirit of His mouth (Ps. 33:6). Do you see? He calls the Father Lord, but he calls the Son Word, as pre-eternally begotten of Him; and he calls the Holy Spirit of His (and not “Their”) lips, as proceeding from the Father alone. One could search out other testimonies also from the Old and New Testaments, which show more clearly than the sun that the Holy Spirit proceeds from the Father alone and reposes in the Son, as was disclosed at the Baptism of the Lord. Further, all the holy ecumenical teachers who have interpreted the Scripture as if with one mouth say that the Holy Spirit proceeds from the Father, and nowhere have they written that he proceeds from the Son also. 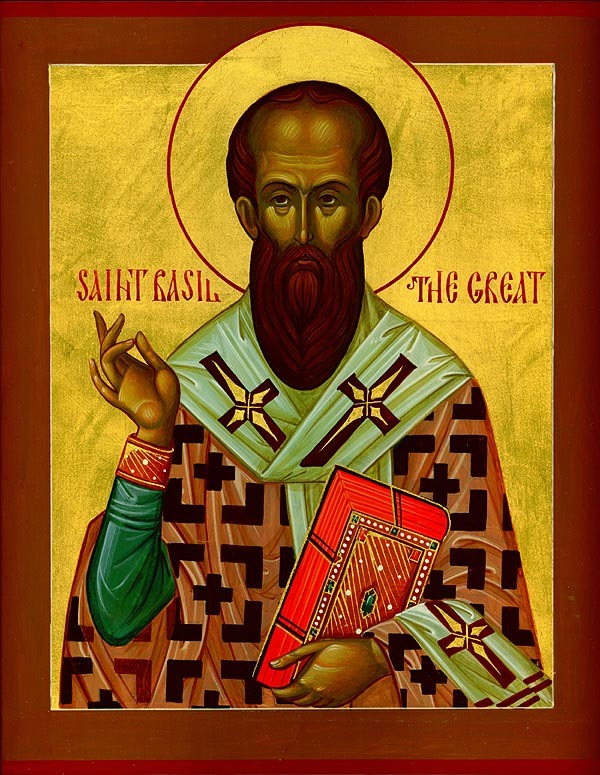 Thus, if Uniates think exactly like the Romans in such a serious heresy, what hope do they have for salvation, unless they openly renounce this Spirit-fighting heresy and become united again with the Holy Orthodox Eastern Church? Question: Something I don’t know much about, and probably a lot of other people don’t is: what are some of the concrete differences and similarities between, say the Russian Orthodox Church and, say, the Roman Catholic Church with regard to different doctrines and ideas, like about the Trinity or whether priests marry or not – all those million and one little differences. 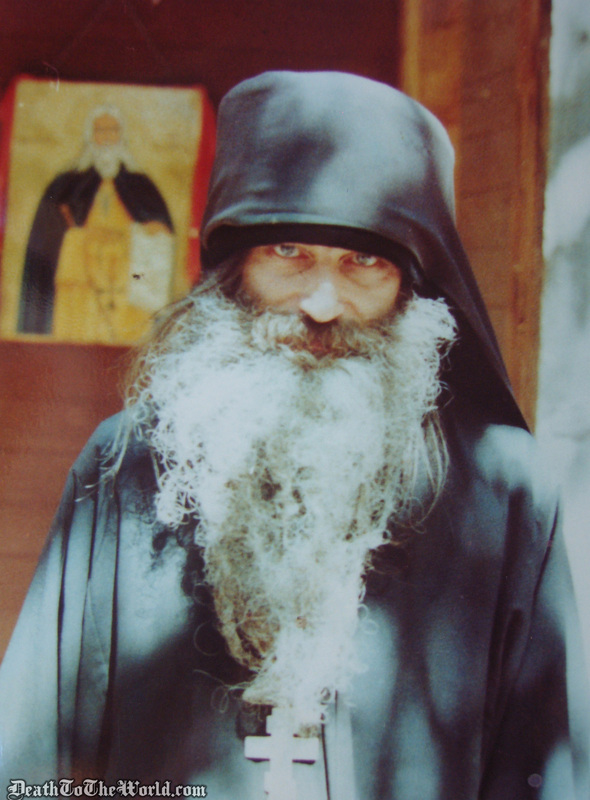 There are some who look at our Orthodox Church and say, “It’s impossible for people to find truth there. 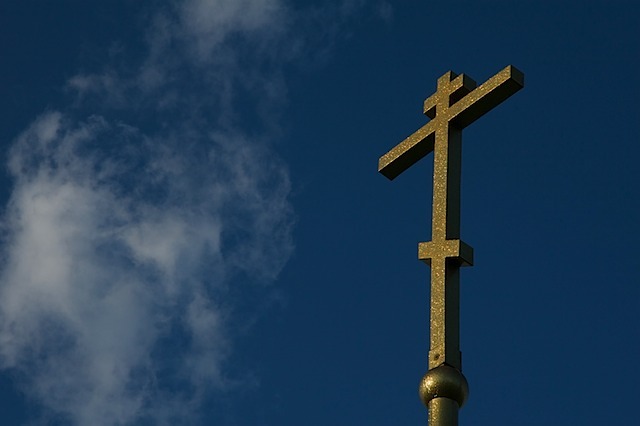 You say you don’t believe in any one pope or bishop, and thus there is no guarantee; you don’t believe in the Scriptures like a Protestant might and say that they are the absolutely ‘infallible’ word. If you have a controversy, where is the final word?” And we say that the Holy Spirit will reveal Himself. 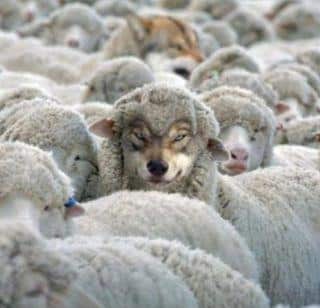 This happens especially when bishops come together in council, but even then there can be a false council. One might then say, “There’s no hope!” But we say that the Holy Spirit guides the Church, and therefore He will not be false to the Church. If you haven’t got the feeling that this is so, then you devise things like making the Bible infallible, making the Pope infallible. Also, you make Orthodox things – as the Roman Catholics did – into some kind of “law”, so that everything is nicely defined: if you break this law you go your confessor, get such-and-such a penance, and you’re all “set” again. 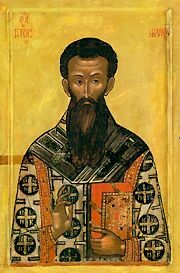 Orthodoxy does not believe; from this came the whole idea of indulgences, which is a totally legalistic perversion of the idea of repentance. If you repent, like the thief on the cross, you can be saved at that moment. 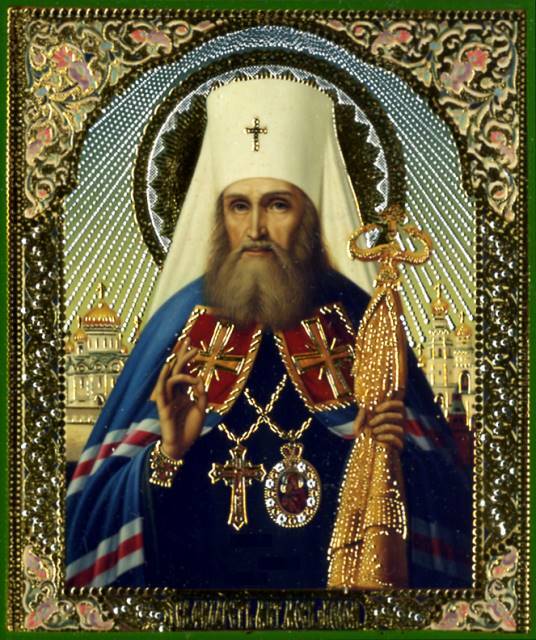 In the Orthodox Church, the Holy Chrism is sanctified for use in the celebration of the sacrament of Chrismation. It is a visible sign of the transmission of gifts of the Holy Spirit to those who are baptized. When the Church spread throughout the world and the number of the baptized was greatly increased, it was not possible to continue the practice of Samaria. 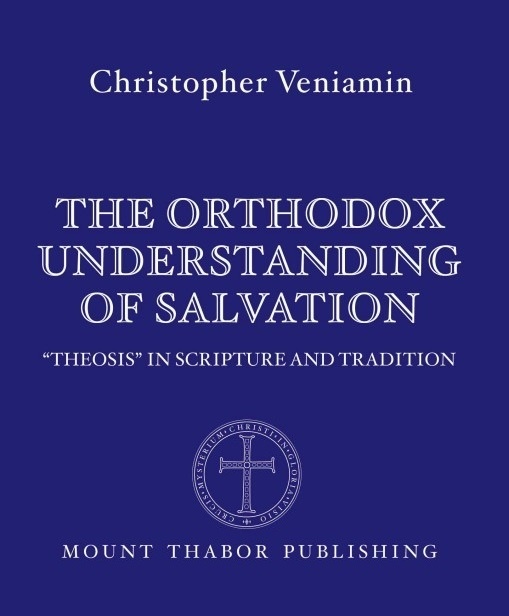 Consequently, the Apostles introduced the use of the sanctified Chrism. 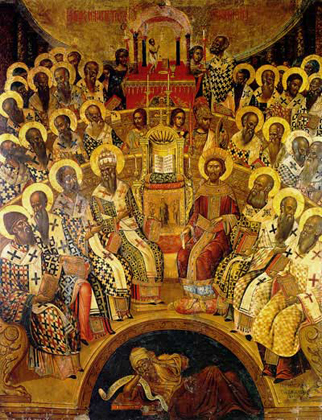 The Holy Chrism was sanctified by the Apostles and was continued thereafter by the bishops through the Apostolic Succession. The “laying on of hands” was completely replaced by the Holy Chrism to transmit gifts of the Holy Spirit. Acts 19:1-6 While Apollos was at Corinth, Paul took the road through the interior and arrived at Ephesus. 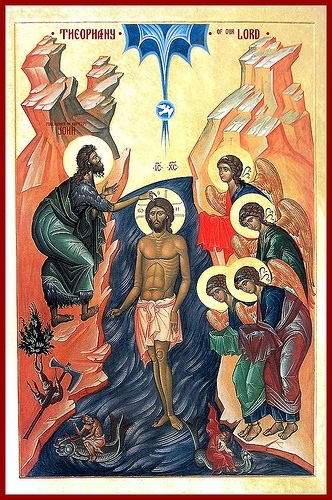 There he found some disciples and asked them, “Did you receive the Holy Spirit when you believed?” They answered, “No, we have not even heard that there is a Holy Spirit.” So Paul asked, “Then what baptism did you receive?” “John’s baptism,” they replied. Paul said, “John’s baptism was a baptism of repentance. He told the people to believe in the one coming after him, that is, in Jesus.” On hearing this, they were baptized into the name of the Lord Jesus. When Paul placed his hands on them, the Holy Spirit came on them, and they spoke in tongues and prophesied. of the Holy Spirit, and His servant. that with which the priests and the anointed are sealed. whereby we bear His seal. After this, you went up to the priest, consider what followed. Was it not that of which David speaks: Like the ointment upon the head, which went down to the beard, even Aaron’s beard ? This is the ointment of which Solomon, too, says: Your Name is ointment poured out, therefore have the maidens loved You and drawn You. Songs 1:2 How many souls regenerated this day have loved You, Lord Jesus, and have said: Draw us after You, we are running after the odour of Your garments, Songs 1:3 that they might drink in the odour of Your resurrection. GREGORY. For you were well acquainted with Ammonius, a monk of my Monastery…This man told me, how, in that great mortality which happened in this city, in the time of that noble man Narses, there was a boy in the house of the foresaid Valerianus, called Armentarius, who was very simple and passing humble: when, therefore, that mortal disease entered that lawyer’s house, the foresaid boy fell sick thereof, and was brought to the point of death: who suddenly falling into a trance, and afterward coming to himself again, caused his master to be sent for, to whom he told that he had been in heaven, and did know who they were that should die out of his house. “Such and such,” quoth he, “shall die, but as for yourself, fear nothing, for at this time die you shall not. And that you may be assured that I have verily been in heaven, behold I have there received the gift to speak with all tongues: you know well enough that ignorant I am of the Greek tongue, and yet will I speak Greek, that you may see whether it be true that I say or no.” Then his master spake Greek, and he so answered him in that tongue, that all which were present did much marvel. In the same house there was a Bulgar, servant to the foresaid Narsus, who in all haste, being brought to the sick person, spake unto him in the Bulgarian tongue; and the boy that was born and brought up in Italy, answered him so in that barbarous language, as though he had been born and bred in that country. All that heard him thus talking wondered much, and by experience of two tongues which they knew very well that before he knew not, they made no doubt of the rest, though they could make no trial thereof. After this he lived two days, and upon the third, by what secret judgment of God none can tell, he tare and rent with his teeth his own hands and arms, and so departed this life. When he was dead, all those whom before he mentioned did quickly follow after; and besides them, none in that house died at that time. PETER. A very terrible thing it is, that he which merited so great a grace, should be punished with so pitiful a death.